Océ Solutions are designed with a family approach. They are modular and upgradeable, so they can be upgraded to higher levels of performance rather than discarded or replaced. For example, Océ TDS and Océ TCS families of products are engineered for scalability which, in a sense, takes the notion of recycling and re-use to the next level. Reliability and flexibility are key trademarks of Océ Solutions, assuring the ability to meet your toughest deadlines. Océ Systems are highly regarded for their continuous, trouble free performance, thus minimizing system and employee downtime. Print excellent, high-quality prints in color and monochrome on a wide range of media. Confidently print technical documents and high-quality graphics. 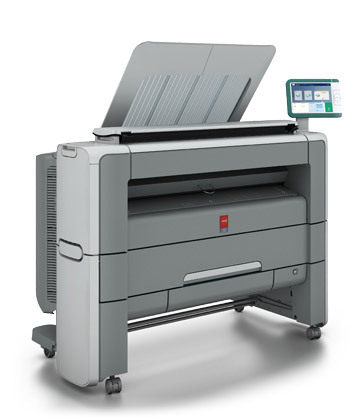 With the Océ ColorWave 3500 printer, you can enjoy a low-maintenance, high-productivity engine that supports your business. 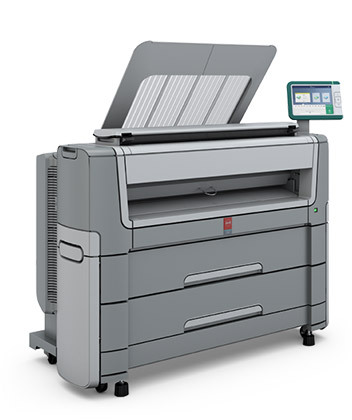 The Océ 345/365 Printer Series is the next wave in versatility, speed and reliability for all your print, copy and scanning needs. 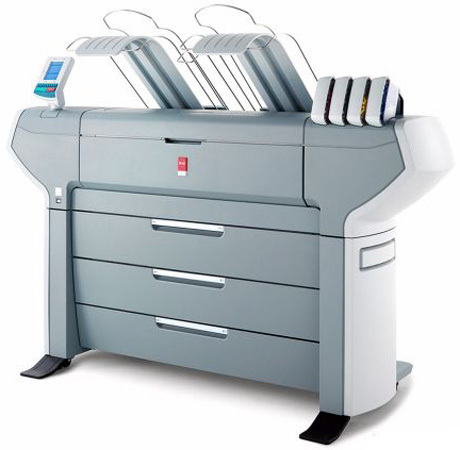 Maximize your productivity while minimizing your print and labor costs all in one compact solution. Work faster by minimizing waiting time and using less energy with virtually no warm-up time. Designed to work side-by-side with CAD Professionals, The Océ PlotWave 450/550 Printing System is built for fast production. 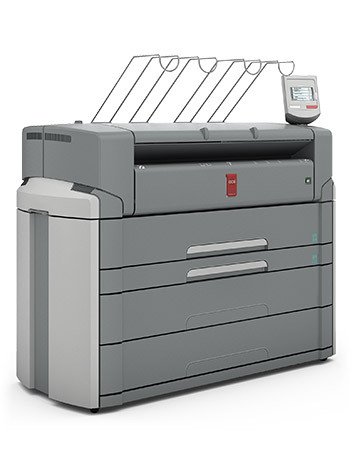 With virtually no warm-up time, print up to a whopping 600 sheets per hour. This system is designed to make it easier to prepare, produce and manage all your technical documents and document sets. Today, the most advanced architectural, engineering and construction companies rely on Océ systems to help build the world around us. Their creations rise above past developments to become innovative masterpieces. The Océ PlotWave 750 system also rises above, enabling customers to communicate faster and more effectively.